This is what makes real estate investing so exciting. It is an inviting profession, but in order to excel you'll need to have a firm grasp on a number of elements and the industry as a whole. While there is no substitute for hard work and dedication, there are thankfully several simple tips that can help you get started today. Real estate investing isn't just about buying and selling homes. Before you get to that point, you have to establish yourself as an expert in the field, according to the Bigger Pockets Blog. How do you go about doing that? For starters, focus on promoting yourself and your brand. Marketing will allow you to generate leads that turn into those ideal properties, but also build up a reputation among other professionals in the industry. This will ensure that your stream of homes is always replenished, plus it will allow you to make friends and allies that can be of assistance should you need help. 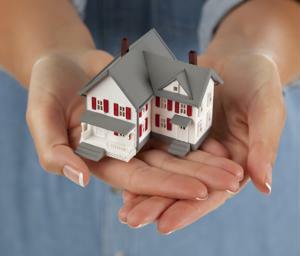 There are a lot of minute details that are involved in the real estate industry. As a budding investor, you should always be on the lookout for ways to improve your education. The Bigger Pockets Blog explained that there are plenty of resources out there that can help you get started. For example, consider reading books about the practices behind this profession. Or, you can meet up with fellow investors to talk about your experiences. As long as you stay open to new ideas, you can grow as a professional. Access to information is another incredibly important aspect of real estate investing. With CRS Data, you can acquire mortgage records, warranty deeds and much more, right online. Walkthrough our CRS Data Investor Suite to learn more. Once you have a good foundation behind your profession, you can move on to finding the right properties. This is critical, no matter if you want to invest for the long term, buy homes to flip them or become a landlord. According to RealEstate.com, you can determine the right homes for you based off of your current situation. Look for listings that are within a certain number of miles from your home or office. Decide how much money you can spend up front, or if you need to find properties that have low enough costs or taxes. These elements should directly influence your decision. Overall, getting involved in the real estate industry can seem simple, but you should make sure you are taking the right steps to start off strong.